We BUY and SELL used cars and trucks minutes from Plainville , if you are purchasing a new car check out how much your car is worth to Victor before you trade in for less than Victors would pay for your car worth a call or stop by, ask for Tyler Rook. 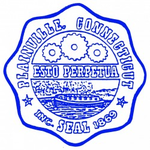 We are located only minutes from Plainville . Come on down to the shop around the corner from Plainville on 590 Washington Street, Middletown CT or call us at (860) 346-8800 and we can work out a well priced and fair deal from your standard! That's a guarantee!